English Country dancing, as the name implies, was the social dance of the country folk, popular in England and the Colonies from the mid-1500s up through the 1820s. The dances run the gamut from elegant to rowdy, stately to silly, simple to complex. The marvelous tunes that accompany the dances are likewise filled with variety. In olden times dancing was more than just a popular pastime; it was a way to socialize, to meet new people and hear new gossip. Before television, before radio, and in towns that lacked theaters and racetracks, dancing was the prime form of entertainment. But country dancing wasn’t only for the farmers and the milkmaids; Henry VIII enjoyed country dances, as did George Washington more than 200 years later. Dancing was a favorite pastime of Jane Austen, as evidenced by her novels where dancing is an important part of the story. Popular film and television versions of Pride and Prejudice, show how fun, social, and romantic English country dancing can be. English Country Dance (ECD) groups around the southland continue the social tradition of the dance by welcoming everyone, of all ages and all levels of dance experience. Every dance is taught and prompted, and it is not necessary to come with a partner. The dances themselves are culled from the whole spectrum of English dancing, from earliest published dances of the English Renaissance, to wonderful new dances in the traditional style that are being written today. Taught by some of the best dance leaders Southern California has to offer, the dances are accessible to first-timers, as well as experienced dancers. 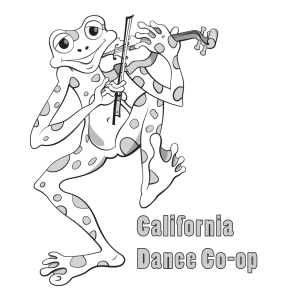 California Dance Cooperative member dances are accompanied by live music, performed by respected traditional dance musicians. Instruments range from violins and cellos, to fifes and drums, and even, occasionally, accordion! For regularly scheduled dances, casual dress is recommended, as well as low-heeled, leather or rubber-soled shoes. In addition to these social dances, there are occasional formal dress Balls held around Southern California.